We looked after publicity for the World Premiere and North American DVD & Digital release of teen comedy The Standoff. 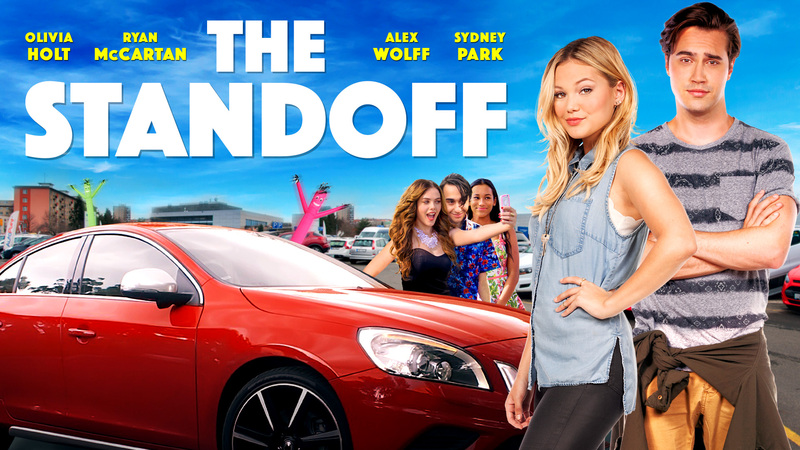 From the makers of A Cinderella Story, The Standoff stars teen sensations Olivia Holt, Ryan McCartan, Alex Wolff, Sydney Park and The Merrell Twins. Amy (Olivia Holt) and Farrell (Ryan McCartan) have been high school rivals for years, and the local auto dealer is about to place them in their biggest competition yet. The contest rules are simple: To win the car, keep one hand on the automobile at all times and be the last one standing. After two days of sleep deprivation, Amy and Farrell wonder if they’re really enemies…or something more. But with a new car at stake, no one is backing down. Publicity highlights include Awesomeness TV, BeliefNet, Yahoo, M Magazine, J-14 Magazine, Justine Magazine, Just Jared Jr, Twist Magazine, Tiger Beat, Shine On Media, Hollywood News Source, Beautiful Ballad, Flickering Myth, Radio Disney and many more.